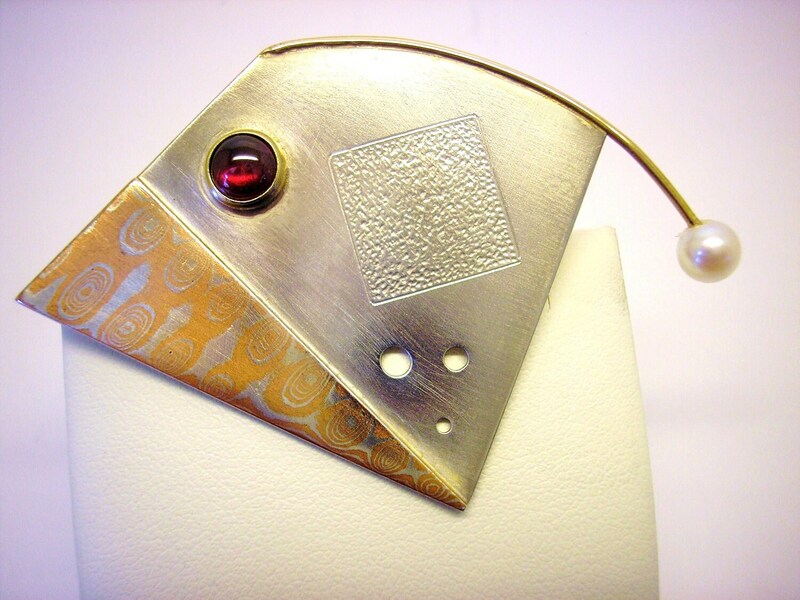 This is an geometric & abstract pin/brooch made of Sterling Silver, 14K YG, and Copper/Sterling Mokume Gane. The pin features a bezel-set Garnet cabochon and a 5.5mm cultured Akoya pearl. The pin-stem & catch are 14K as well as the bezel and wire holding the pearl.